As our lives become more and more digital the novelty of finding a envelope in the good old-fashioned mailbox becomes increasingly thrilling. And if the envelope is particularly gorgeous there's little chance it's going to be junk or a bill and a high likelihood that you have been specially selected to attend a really big celebration. After working out how to open the envelope whilst causing the least amount of damage to it, you take a deep breath and carefully slide out the contents. It's exciting hey? Yeah, being invited to a wedding is way up there on the top ten list of events to add to the calendar, and the top ten reasons to go shopping. And it all starts with the invitation - that piece of card whose considered design speaks volumes about the style and formality of the wedding, and the attire that will be considered appropriate for it. So no pressure on the stationery designers whose job it is to encapsulate the personality of the couple and the style of their wedding day into a few square inches of space! 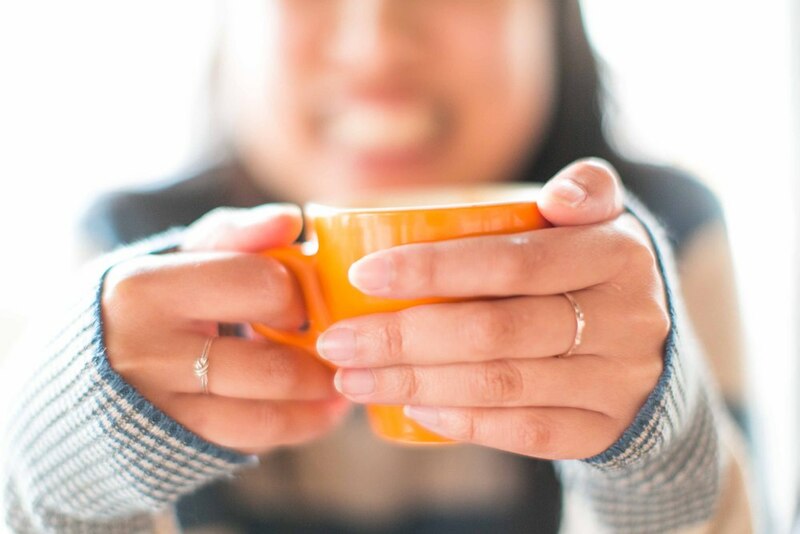 To find out how the experts weave their magic I caught up for a coffee with one of the friendliest designers in town: Stephanie Lee from Stelloberry Designs. So how did you get into stationery Steph? Were you one of those girls who hang out in Smiggle after school? This may be showing my age, but specialty stationery stores like Kikki K, Typo and Smiggle weren't around when I was a schoolgirl, otherwise I'd have been there every day! I've always adored paper and visited Eckersleys and Lincraft as often as I could to get my art and craft fix. I was (and still am) the kind of person who would save pretty pieces of paper just in case I could use them later which sounds strange to most people but it was highly satisfying to have them littered around my room! I started handcrafting greetings cards after high school and then did a short design course a couple of years ago. From there I started Stelloberry Designs which has grown and taken on a life of its own. I feel very lucky to be able to do what I love every day of the week. What's cooking in your studio right now Steph? Invitation designs are in full swing now that this year's wedding season is upon us, and there's a variety of themes amongst the weddings I'm designing for. Included in the mix are a few rustic vintage designs, an invitation for a fairytale wedding, a very modern black and silver design as well as several traditionally elegant pieces. In addition to the invites I've also got some corporate Christmas designs on the go. As strange as it may seem when you're outside of the industry, it's the norm for businesses to start preparing for Christmas in July/August so I'm working on some lovely festive creations for the end of the year. Throw in a few branding projects and it makes for a widely varied workload! Have you noticed any trends emerging in the world of wedding stationery? Amongst the couples I'm working with letterpress is still going strong and this season there's been a definite trend towards classically elegant black and white invitations. This type of design makes up around a third of the weddings I'm working on this year! In the big wide world of stationery, on the other hand, I've noticed there's a lot of focus on bright colours, particularly neon. I just love how incorporating colour can make your stationery really pop. Other trends to watch out for are watercolours, papercuts and the use of hand-lettering. Do you have a signature look or are your designs based on your clients' specs? Around 95% of my work is custom designed, which means that I have the pleasure of incorporating as much of my clients' personality as possible into the invitations. It's the most rewarding kind of experience, especially when you hit the mark and get it right first go. I love watching how each couple's unique style is expressed through their wedding - it makes my job that much more enjoyable. Although it's hard to see when you're so immersed in your designs every day of the week, I've been told I do tend to have a bit of a signature style, which I think probably arises from the fact that I always design for others what I'd love to see in my own stationery! Letterpress printing always looks beautiful. Is that something you can arrange? Oh yes, I love having the opportunity to provide couples with letterpress stationery. It's a type of printing that requires a lot of labour and love to get it right. This means the finished product is absolutely beautiful but it also makes it more expensive than other types of printing. I find it's not the right choice for every couple, but I do like to offer it if my couple's style and budget allows. One day I'd love to be able to letterpress in my own studio, but for now I outsource the printing to some very trusted, high quality letterpress printers. Gorgeous printing doesn't end with letterpress either; there's a whole world of techniques available to couples who want their stationery to have that "wow" factor, including foiling, embossing, debossing, edge painting and screen printing. It's also possible to mix more than one printing technique for wedding invitations that are true showstoppers. The brilliant Jess and Russ wedding website that went viral is a good example of how weddings are becoming increasingly digitised. Have you had any requests for digital invites and do you think it's inevitable that they'll become part of your product list? I'm completely and utterly in love with Jess and Russ' wedding website! I must admit I have a bit of a design crush on Jess actually, she's an amazing talent and her work is simply inspiring. So it's no surprise that her wedding website is beyond beautiful, not to mention clever. I haven't personally had any requests for digital invitations, but I find that couples are requesting digital versions of other stationery items such as save the dates in order to save money or out of consideration for the environment. I think it can be an effective way to save money if you're strapped for cash, but I think it's very important not to lose sight of the type of event you'd like your wedding to be. The invitations are the first glimpse guests have of the big day and will set the tone for the event to come.Digital invites, whilst they can be beautiful if done well, will not alway leave the kind of impression you want guests to have of your wedding day. What's the usual turnaround time from designing to printing? I often get asked this question and honestly I have to say it varies widely between clients. I've had couples who are super-prepared and approach me many months before their wedding to have their invitations printed. This provides room to go back and forth as many times as needed to revise their designs until their stationery perfectly reflects what they had in mind for their big day. Other couples come to me with weddings that are only a couple of months away (the shortest timeframe was for a wedding that was only a few weeks away!). This does mean that there's less time for revisions but it's still possible to squeeze a custom design into this timeframe (although rush fees are likely to apply for this service). As a general rule I think it's a good idea for couples to start ordering their stationery, especially for a custom design, around 4-5 months before their big day. This will give them time to work with their designer to create their dream wedding invitations without feeling the pressure of having to get them sent out asap. Do you think it's important for all the stationery to match, from the save the dates to the invites and thank you cards, or is it good to mix it up a bit? I think it's good to have an equal measure of both! Your stationery doesn't have to match exactly - it can be quite fun and visually appealing to have multiple design elements woven through your invitation suite. Having said that, if you're going to go down this route I think it's a good idea to have a few elements that remain consistent throughout your stationery to tie the suite together, such as a monogram that's used in each piece, or repeating the same pattern or colour scheme. And are there benefits in having them all made at the same time? There's definitely cost benefits to be had from getting all your stationery printed at the same time, but this doesn't always happen when printing for a wedding. Generally there'll be two lots of printing you do for your wedding. The first part includes all the materials you need to invite your guests to the big event such as the invitations themselves, reply cards, maps and any other additional information. The second print run will take place once your RSVPs have all come in and will include your "day of" stationery (such as orders of service, place cards, menus,and table numbers) plus your thank you cards. You also design for the corporate sector. Do you find that helps you with ideas that can be applied to weddings? Although I love weddings to bits it's easy to get immersed in them to the exclusion of everything else! I feel that working on stationery for the corporate sector exposes me to a very different type of design, and I often find it advantageous to mix the two worlds together; bringing some of the elements I use in my wedding work to the corporate sector and vice versa helps to keep my designs fresh and unique. What's the best way for couples to approach a stationery designer? I think every designer works slightly differently, but I definitely prefer to meet couples first (either face to face or if that's not possible then via Skype) to discuss their stationery requirements. 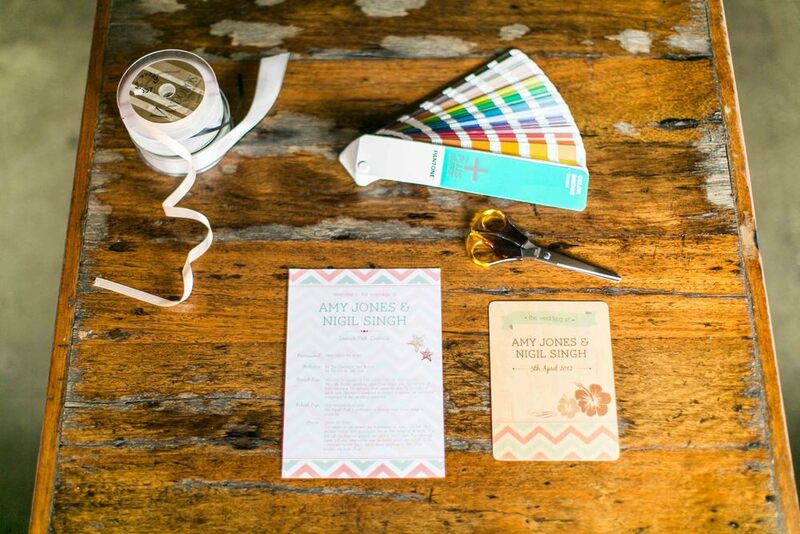 I find this is the most effective way to determine exactly what their vision is for their dream wedding invitations, and from there we can work to find a solution that fits perfectly with both their wedding and their budget. Any examples that couples can provide at the initial consultation also helps when we're brainstorming ideas. I just redesigned my website and was overwhelmed by the 4.2 billion fonts I had to choose from. How on earth do you keep up with them all?! I must admit I spent entirely too much time browsing font websites, and too much money purchasing them! When it comes to selecting fonts for projects I have tons to choose from (and I'm always tempted to add more to my collection) but there are favourites that I tend to stick to - the kind of fonts that just always work well and when I have one of these as a starting point it makes it much easier to choose others to build on the design. I also do a regular Friday post on my blog called "Fab Font Friday" which I originally started to assist couples with choosing fonts for their wedding stationery, but I now find it comes in very handy as an archive of all the fonts I have in my arsenal! Finally Steph, do you have a quick and easy tip for our couples? The best thing to do before ou embark on ordering wedding invitations is to figure out your personal style as a couple. I find that the couples who have the hardest time with their invites are the ones who were not entirely sure what they were after to begin with, and with so many options, styles and printing techniques out there it's enough to make your head spin! If you start with a clear idea of the style you're after it makes it much easier to choose from the options available to you for other aspects. It also makes it much easier for your designer as they will have a firm direction to follow. If you're not sure how to begin working out your personal style, try visiting wedding blogs and magazines and building an inspiration board for your ideal wedding. Whenever you find something that appeals to you make sure you put in on your board (tools like Pinterest can be great for this!) and slowly you'll start to see a picture form of the way you want your wedding to be. Armed with this board you'll be able to approach any wedding vendor to convey to them exactly what your dream wedding would look like, and it will make planning your big day that much easier! If you have any questions about stationery that you'd like Stephanie to tackle, please leave a comment below and we'll provide the answers asap!